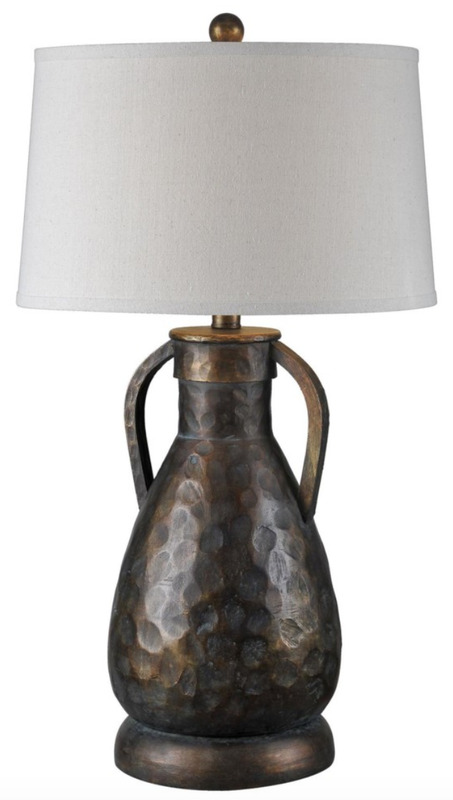 This generous hammered-looking table lamp will be sure to compliment any decor. 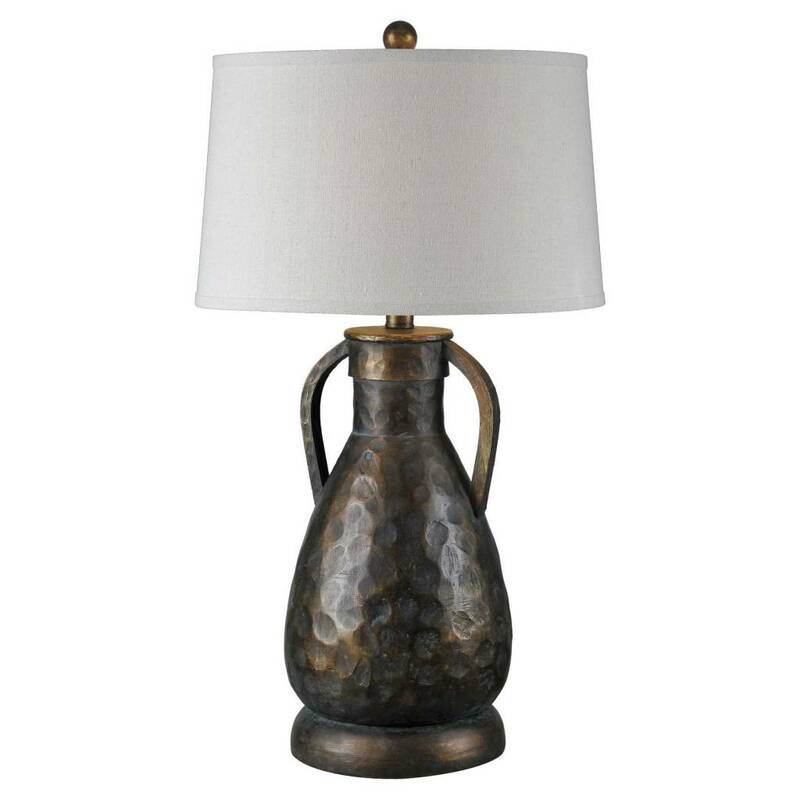 It features a rich bronze metallic finish. Glass/Shade: 16" x 18" x 10.5"